Description The BALR. 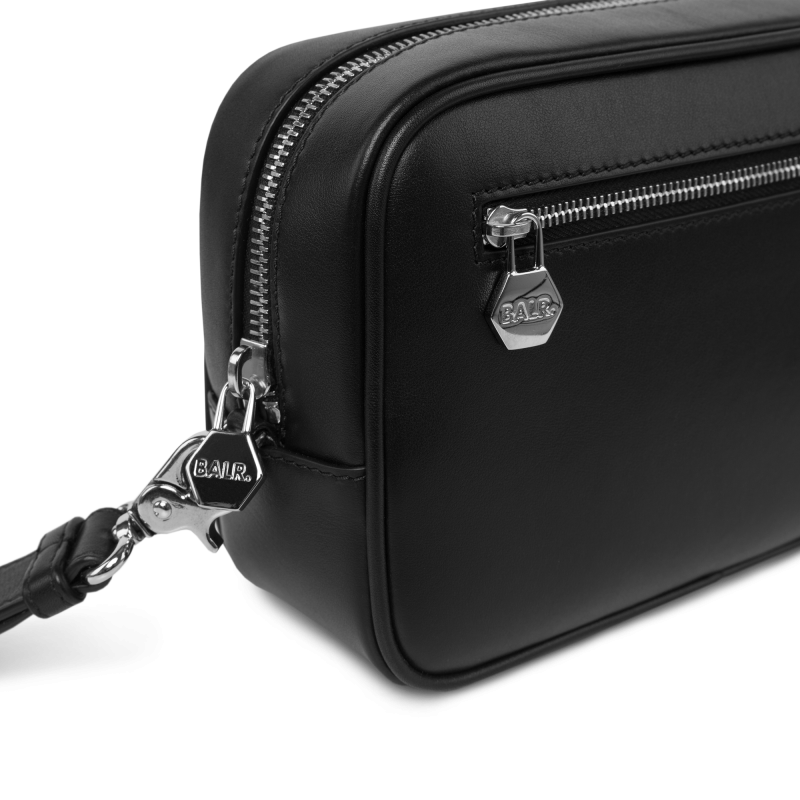 Leather Pouch is crafted from the finest Italian leather you can find. 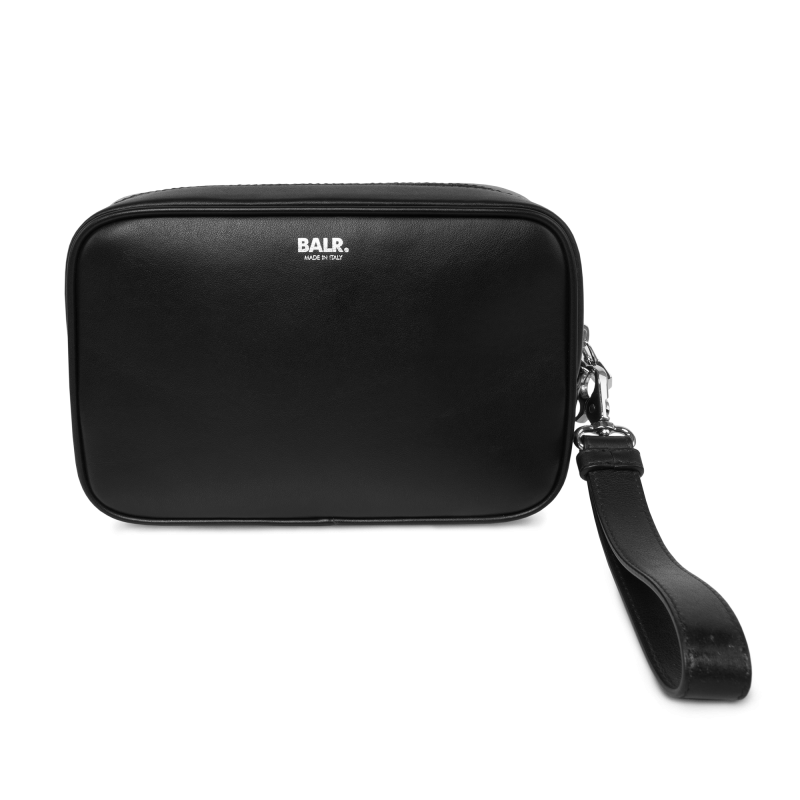 This piece offers a spacious central compartment and a zipped outer pocket to keep all your true essentials safe while travelling. 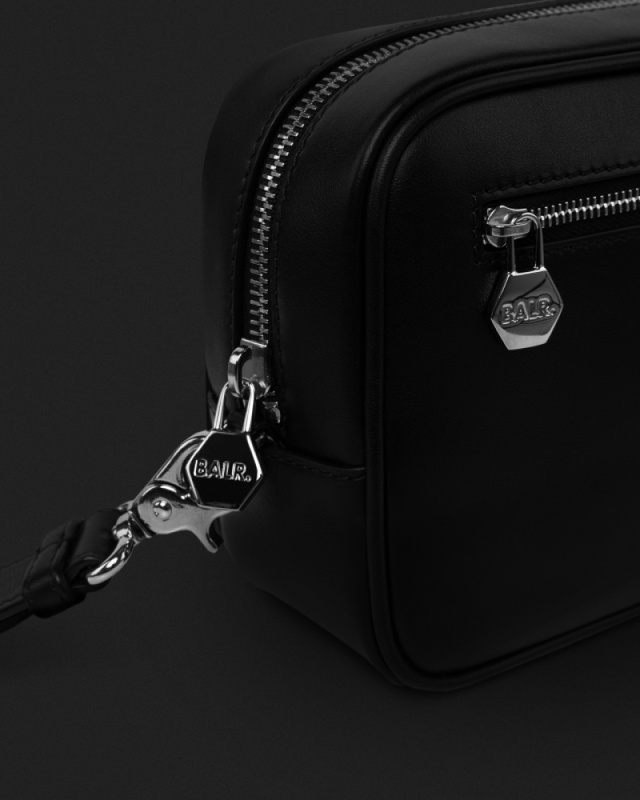 Finished with subtle details, like the hexagon shaped hardware and embossed logo, this pouch is a must-have. The detachable strap gives you options to easily carry the bag, from the gym to your quick weekend getaway. 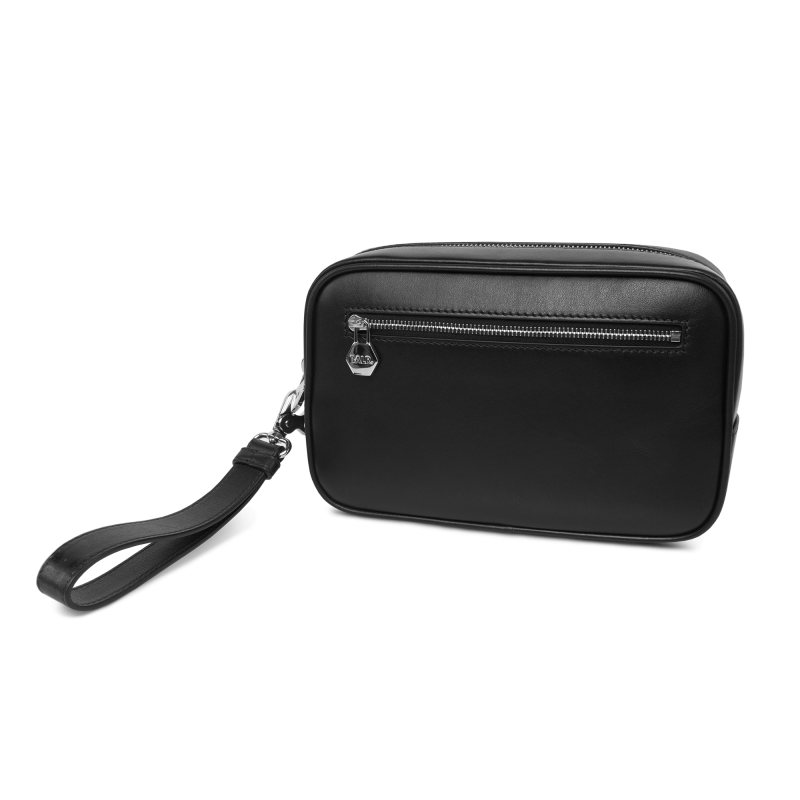 The slim design ensures the pouch doesn't take too much of your precious room in your backpack or trolley. 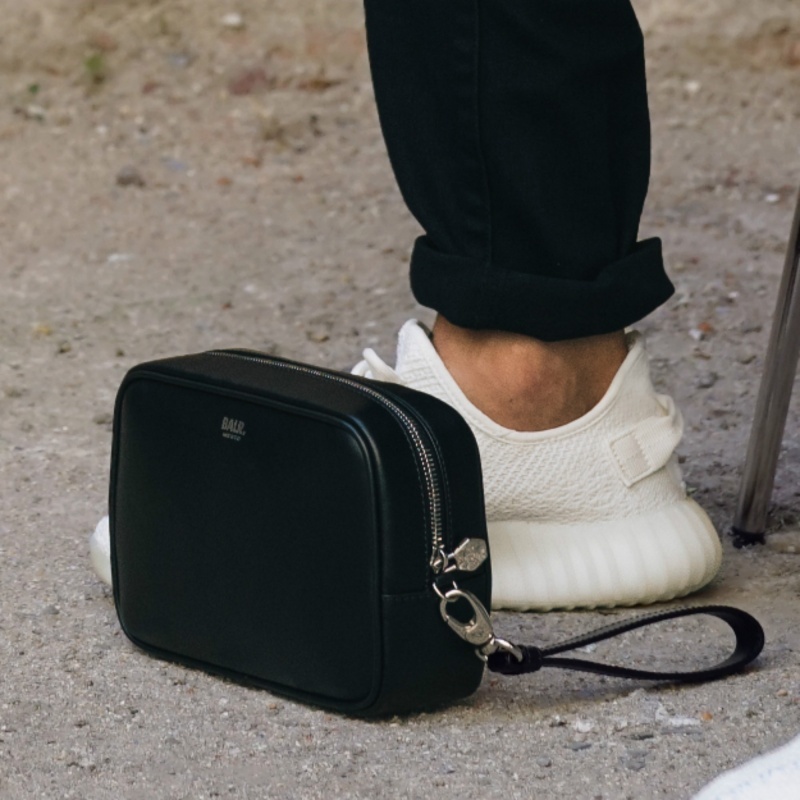 Take your accessory game to the next level with the BALR. Leather Pouch. Made in Italy from the finest leather, this piece offers function and style. With more than enough room to store your daily essentials and a smart design, this pouch is the perfect accessory for the real gentleman.